Friday, 17/10/2014, 6 - 9 p.m. This year's "European Month of Photography Berlin 2014" - under the motto of "Upheavals and Utopias: the other Europe" - was the reason for the Vienna-based artist Elisabeth Czihak to show her newly emerged and very special picture series for the first time: pictures from deserted buildings and places in the small town of Krummau/Česky Krumlov in Chechia. 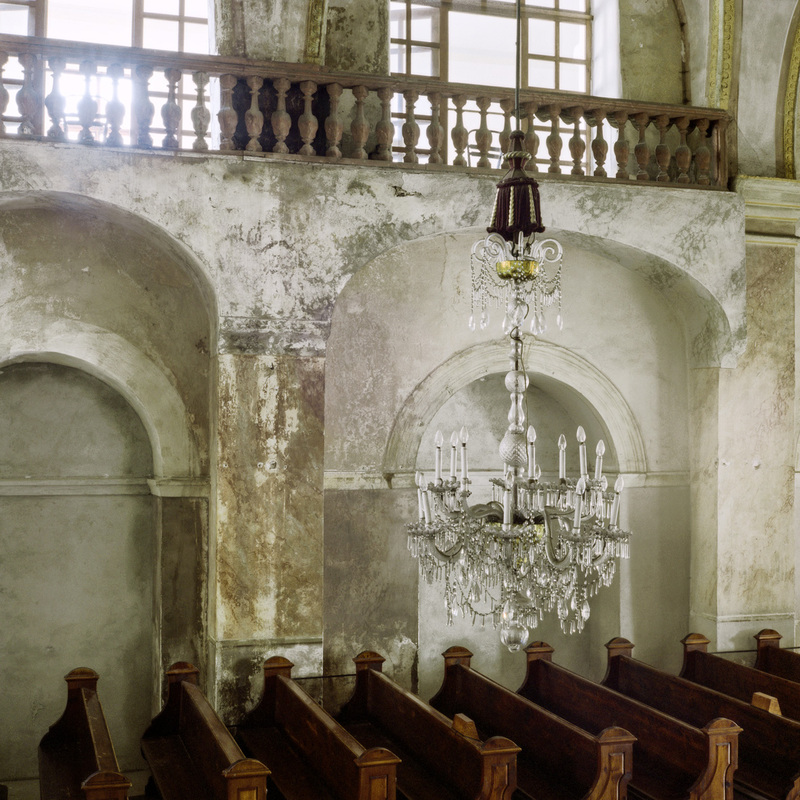 For many years, Elisabeth Czihak traced abandoned places in her photography. A three-month stay in Česky Krumlov / Czech Republic resulted in a series of photographs that tell about political utopias, their social impact and their marks. The Czech Republic is still a country of the 'other' Europe. The eventful history of the region is still clearly perceivable compared to the 'western' Europe: the onset of the capitalist comeback 25 years ago had less time to 'clean up', renovation, tearing down or rejuvenating the remnants from earlier eras. In correspondance to this, Christina Paetsch shows works from her two photo series "My Neighbors" and "I'm Neukölln". In the photographs of Christina Paetsch, social change, a radical break in structures and ways of life become also evident: in a very current, personal portrait of Berlin-Neukölln she reveals the diverse cultural and ethnic peculiarities developed over many decades: the identification with a neighborhood, the little bliss in the allotment, in the privacy of one`s home or in the corner bar. Utopias in the present that all of a sudden dissolve - due to changes from the outside.